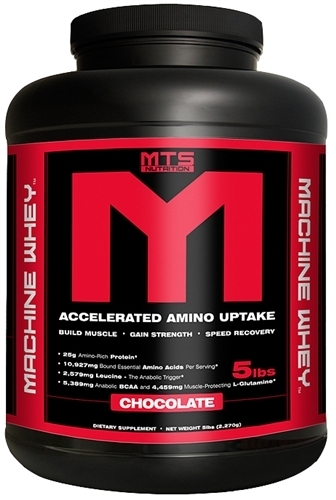 MTS Whey by Marc Lobliner: Lowest Price with PricePlow! Optimal Biological Value Whey Protein Matrix (Whey Protein Concentrate, Whey Protein Isolate), REAL Graham Cracker Pieces [Enriched Flour (Wheat Flour, Niacin, Reduced Iron, Thiamin Mononitrate [Vitamin B1], Riboflavin [Vitamin B2], Folic Acid), High Fructose Corn Syrup, Whole Wheat Flour, Vegetable Oil (Soybean, Palm, Palm Kernel Oil with TBHQ for freshness), Contains Two Percent or Less of Baking Soda, Salt, Honey, Soy Lecithin], Vanilla Extract, Lemon Lime Flavor, Silicon Dioxide, Sucralose, Acesulfame-K, Beta Carotene, Blue Spirulina for color, Salt, Cellulose. Optimal Biological Whey Protein Matrix (Whey Protein Concentrate, Whey Protein Isolate), Cocoa processed with alkali, Natural and Artificial Flavors, Xantham Gum, Salt, Soy Lecithin, Sucralose, Acesulfame Potassium. Sep 02, 2016 MTS Whey Protein: The Machine’s Whey – Certified Clean! 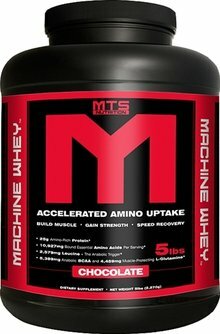 MTS Machine Whey is the outstanding new protein product from professional bodybuilder Marc 'The Machine' Lobliner. This no-frills product gives you exactly what you need in a protein supplement: A high quality source of protein, that tastes great, at an incredible price. And consumers are noticing. All over the internet and at gyms around the country people who try Machine Whey are raving about the outstanding flavor and what a good value it is. Marc Lobliner and company have set strict price controls on MTS products, which is why it's hard to find low prices. But thanks to PricePlow's coupon system, which calculates the best prices with our coupons, you'll get the cheapest deals on all MTS products by using the links on this page! WOW is this flavor AMAZING! Watch Mike and Robert tear it up! Follow-up Review: Mint Cookies & Cream! But everyone said Mint Cookies and Cream is even better! So we put it to the test as well! MTS Nutrition uses only high quality ingredients and is manufactured in a NSF GMP Certified facility so you know you're going to get what's on the label. Additionally, every single batch undergoes rigorous 3rd party lab testing so quality is absolutely guaranteed. The ingredient panel is short and to the point, the protein source is a mix of Whey Protein Concentrate (WPC) and Whey Protein Isolate (WPI) and beyond that the only other ingredients are for flavor and texture. There are a few grams of fat and carbohydrates in the product due to the inclusion of WPC but these are healthy carbs and fats and WPC retains some beneficial immune factors that are lost in the conversion to WPI or Whey Hydrolysate. What's almost as important as what IS in the product is what ISN'T included! And here's another review by Jay of Medical Muscle! Marc is sticking to the basics here, the only two flavors available are chocolate and vanilla and they taste great. Sticking with basic flavors helps keep the price competitive and lets you spend more money on protein and less on fluff. Sticking with basic flavors does not stop this protein from tasting excellent and it has received critical acclaim from reviewers everywhere. Also, Marc Lobliner let the world in on his secret to a great tasting protein shake. Introducing, Protein Sludge(TM). Just like Machine Whey, it's quite simple. Mix a couple of scoops in a bowl with a small amount of water until you get a sort of muddy texture. Now add in some frozen berries, peanut butter, oats, or really anything you want to make yourself a healthy and delicious high-protein snack. Supplementing with whey protein can result in increased lean muscle mass as a response to exercise ( Check out this study for more info). You probably noticed that the product includes WPC as its primary protein source instead of WPI or Whey Hydrolysate. There are several specific benefits unique to WPC and not other forms of Whey. Consume as directed to supplement your daily protein needs. Protein is particularly useful and convenient to take before and after your workout to optimize muscle protein synthesis. That doesn't mean buying into broscience that says if you don't take your protein shake within 5 minutes of your workout ending you're going to start losing muscle. But your body needs some protein within a couple of hours before and after your workouts to maximize your gains. Whey protein is generally well tolerated and is gluten-free. Everybody is unique though so you should talk to your doctor before starting a high protein diet or consuming whey protein. Due to the WPC you might experience issues if you are very lactose intolerant. If you do, consider buying a pure whey protein isolate. Buy your supplements online. The prices are dramatically better than those in brick-and-mortar stores. On this page you'll see a price comparison of the websites that sell this product so that you can pick out the cheapest price and get the most bang for your buck.